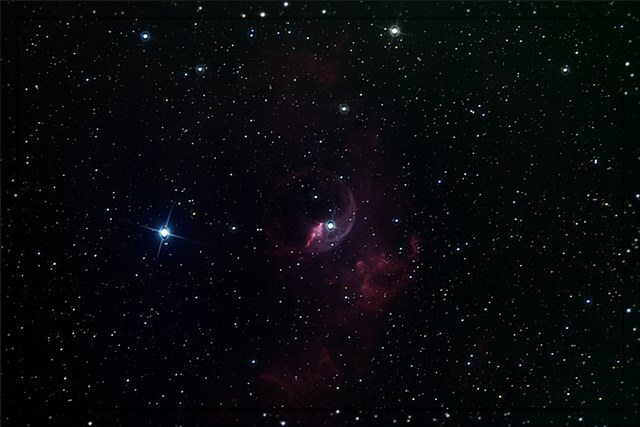 The Bubble Nebula is an emission nebula in the constellation Cassiopeia. The red color that you see in the image is being emitted by a very large cloud of hydrogen gas (a nebula) where new stars are being formed. Inside that nebula is a very massive, young, hot star whose stellar winds push back on the surrounding gas cloud. This creates a void around the star and hence, the bubble! 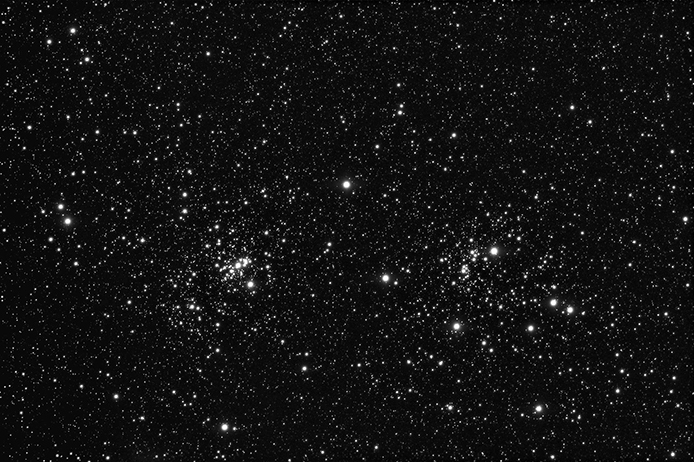 Astronomy 204 astroimagers Ryan Dewitt and Lukas Fragodt, took images of dark nebula Barnard 33 located in the constellation Orion. Twelve 5-minute exposures were combined for the final image. The Horsehead lies 1.5 key away. 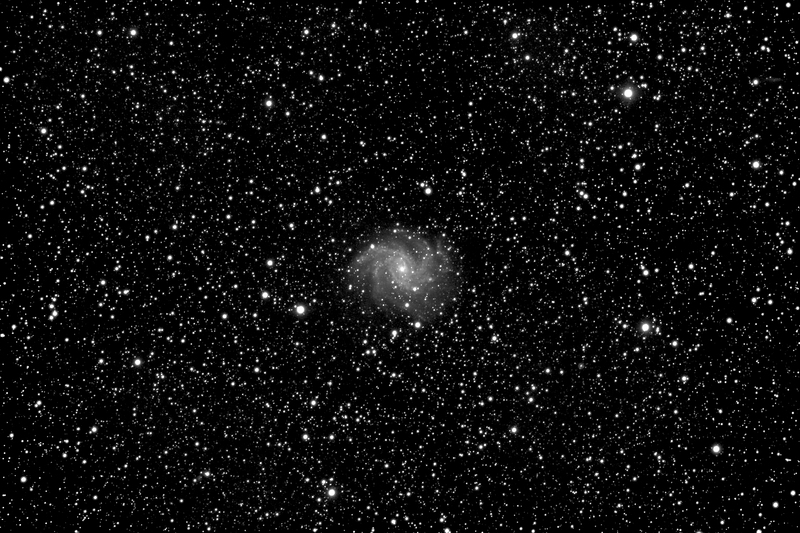 Student Peter Roomian photographed Messier object M87 with our 20" RC telescope. The image reveals M87's famous jet of energetic plasma extending 5,000 light years from the galactic core. Twelve, 300 second images were combined for this photo. 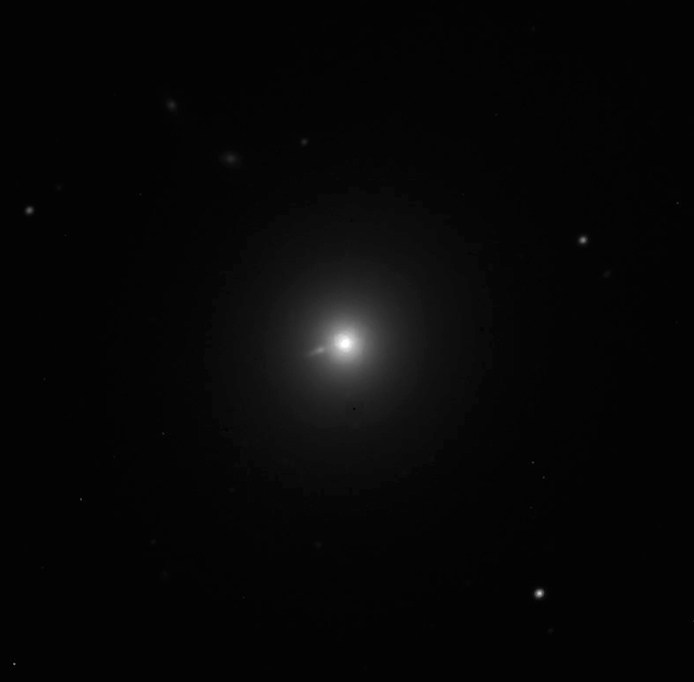 M87 lies ~ 53 Mly away in the constellation Virgo. 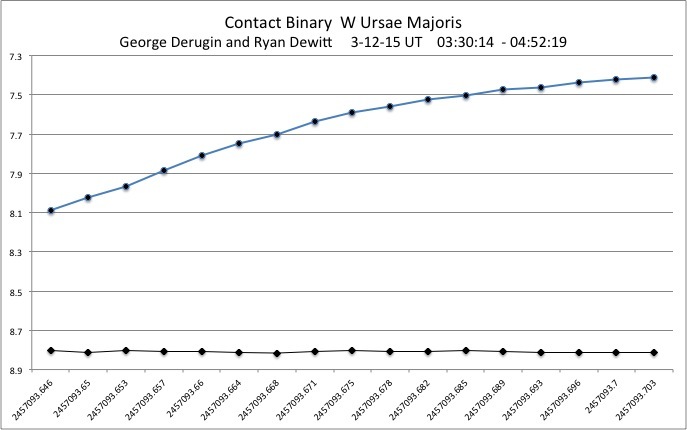 Students Lukas Fragodt, George Derugin, and Ryan Dewitt gathered data on transiting exoplanet WASP-43b from our observatory the local night of 3-4-15. 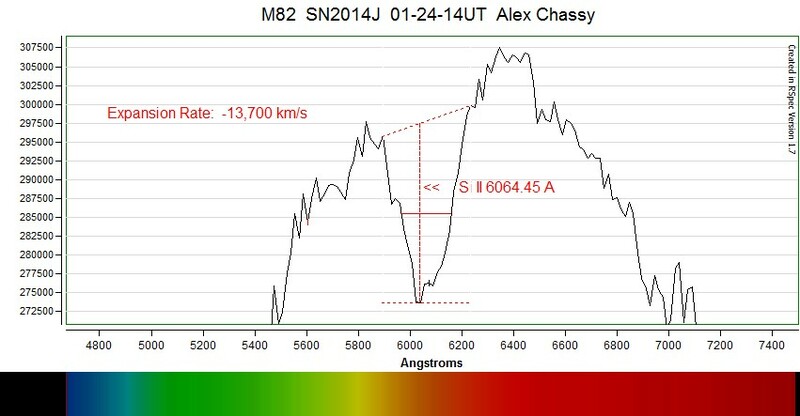 The graph shown was created by and published on Czech Astronomical Society TRESCA website. WASP-43b is a Hot Jupiter orbiting a star ~260 light years away in the constellation Sextans. 40 data points were taken with our 140mm f/7 refractor, processed with MaximDL software. 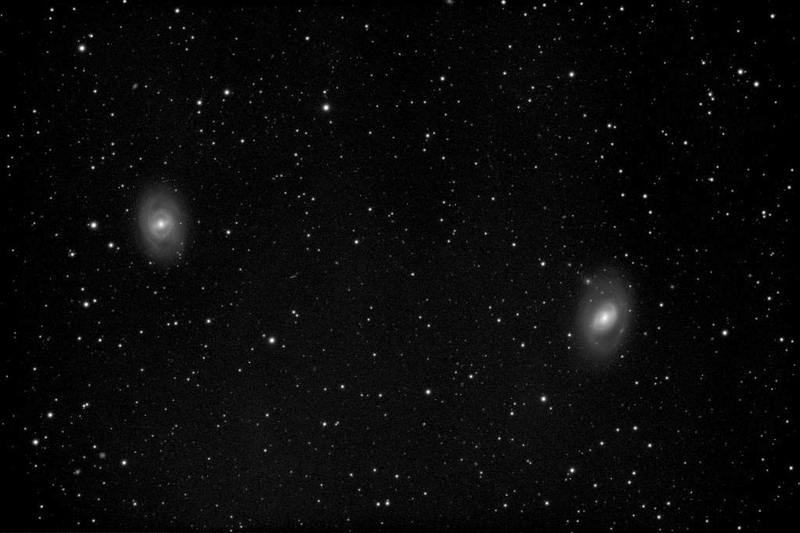 Galaxy pair M95 (left) and M96 (right) in the constellation Leo, are part of the local Virgo Supercluster of galaxies. Students Ryan Dewitt and Nick Denton took twelve, 300 second exposures on 3-18-15, which were combined to create this final image. 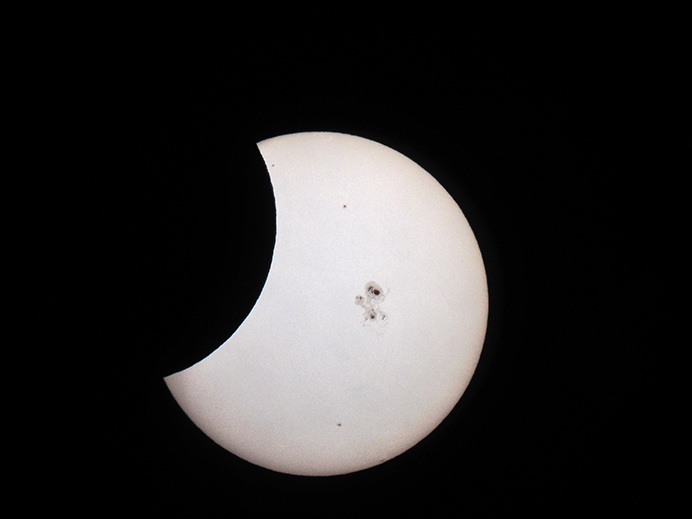 Photos were taken with our 180mm TEC refractor and SBIG STXL-6303 CCD camera. The field of view is 50.2 x 75.3 arcmin. On the local evening of Feb 23, ASTR 204 student Peter Roomian took 100, one-minute images of C/2014 Q2 thru our 140mm refractor. This photo is a combination of the images, manually aligned in CCDStack. 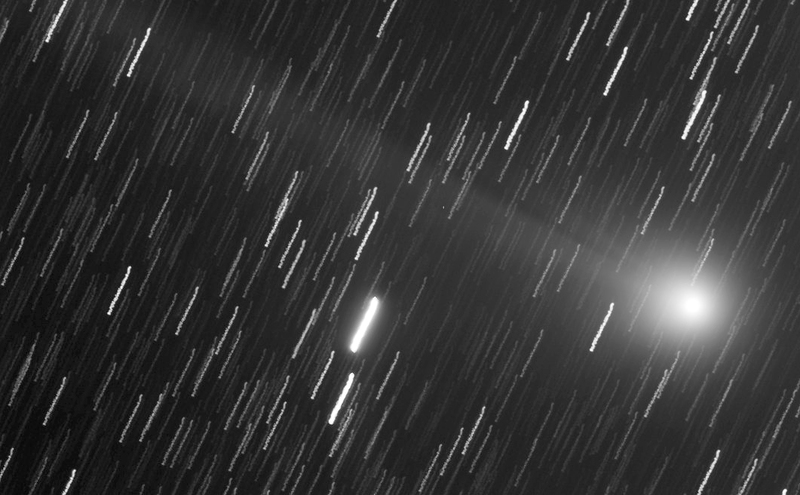 Comet Lovejoy was closest to Earth on January 7th and is still visible in backyard scopes. More info. More info. Larger image. IC 1795 is a star forming region about 6,000 light-years away in the constellation Cassiopeia. ASTR 204 students Alex Chassy and Peter Roomian combined ten, 300 second exposures taken thru our 20" RC telescope to create this image. Larger image. Image taken with iPhone thru 8" SCT @ f/6.3 from CSM Observatory. 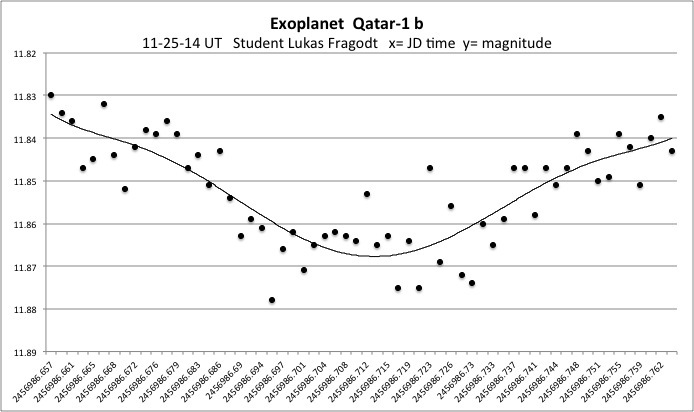 Using our 140mm f/7 refractor, astronomy student Lukas Fragodt took data of exoplanet Qatar-1 b, during transit of its parent star (GSC4240:470) the local night of 11-24-14. This graph shows 60 data points taken between 7:50 pm and 10:14 pm local time. Download the csv data. JD time conversion tool. Variable star CY Aquarii is an SX Phoenicis type variable. 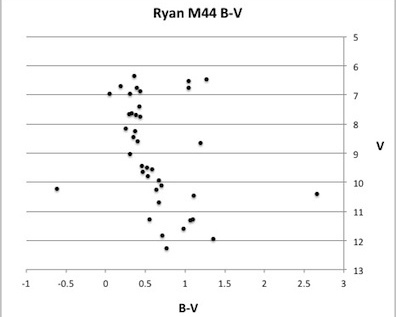 These stars have lower metalicity and very fast periods. 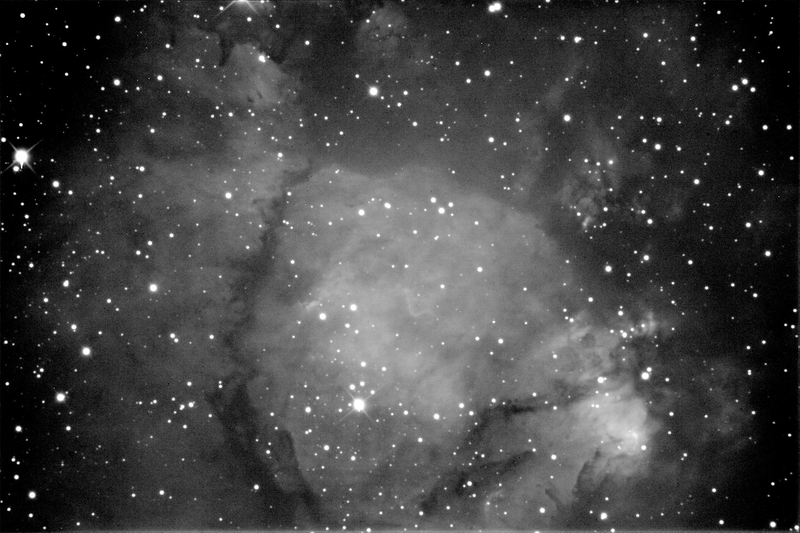 Studen Nick Denton took data of CY Aquarii with our 180mm refractor the local night of Oct. 1. A period of 1 hour and 46 minutes was observed, with an expansion time of 32 minutes and contraction time of 1 hour, 14 minutes. Spiral galaxy NGC 6946 lies 22 Mly away in the constellation Cepheus. This image is a combination of 25 - 5 minute exposures taken by students Alex Chassy and Peter Roomian thru our 180mm refractor. Images processed and combined in CCDStack. Large image. Edge-on galaxy NGC 891 lies 23 Mly away in the constellation Andromeda. 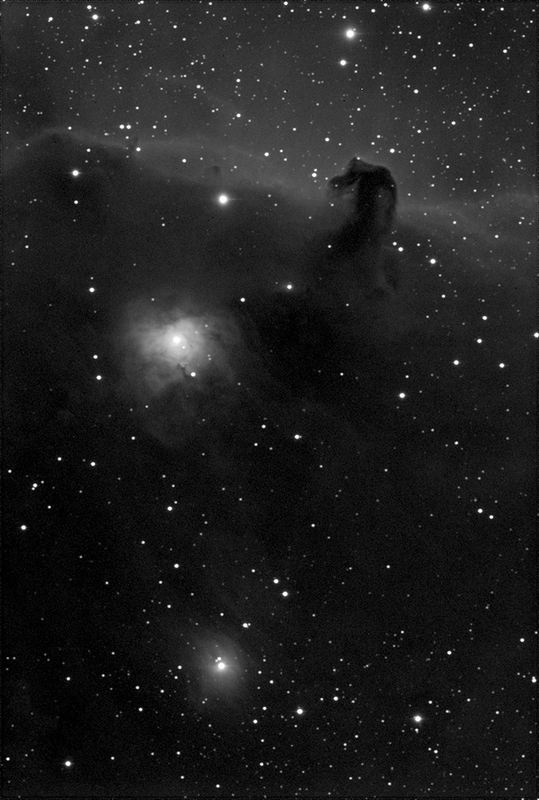 Five, 300 second images were taken by students Ryan Dewitt and George Derugin on 10-27-14, with our 140mm TEC refractor. The images were combined by George Derugin using CCDStack software. NGC 891 looks similar to images of our own Milky Way taken from Earth. The famous Double Cluster in Perseus lies 7.5 kly away. CSM student Lukas Fragodt combined 28, one-minute exposures in CCDStack, to create this image. CCDStack's deconvolution tool was applied. 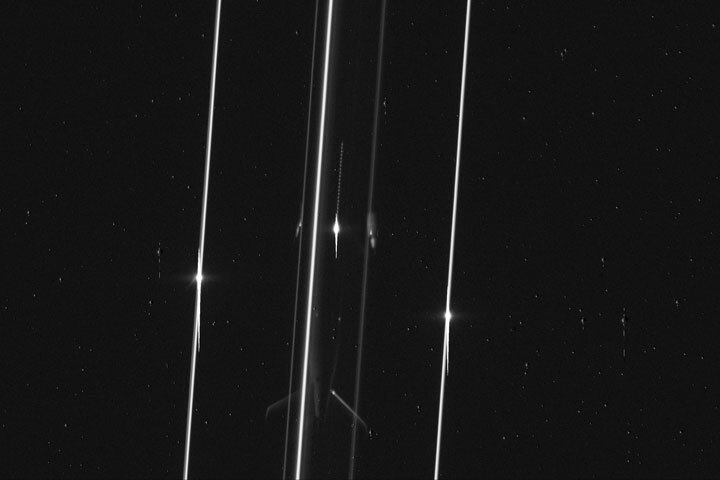 Both clusters are headed toward Earth. 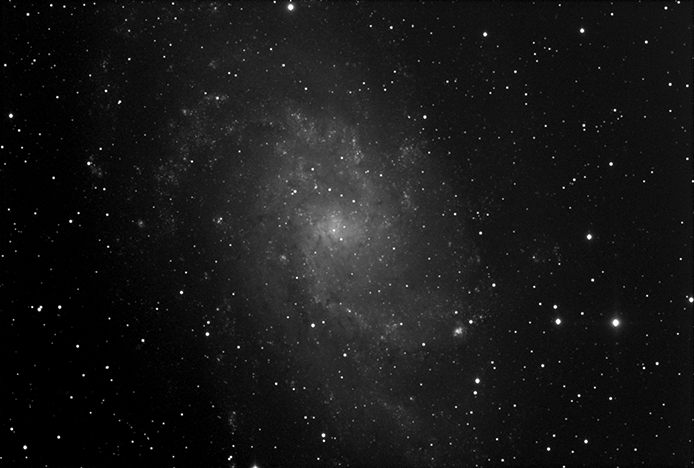 M33 galaxy in Triangulum lies just 3 million light years away, and can barely be glimpsed naked eye, under dark skies. CSM student Ryan Dewitt combined 10, five minute images for this final result. M33 is in our local group of galaxies. Larger image. 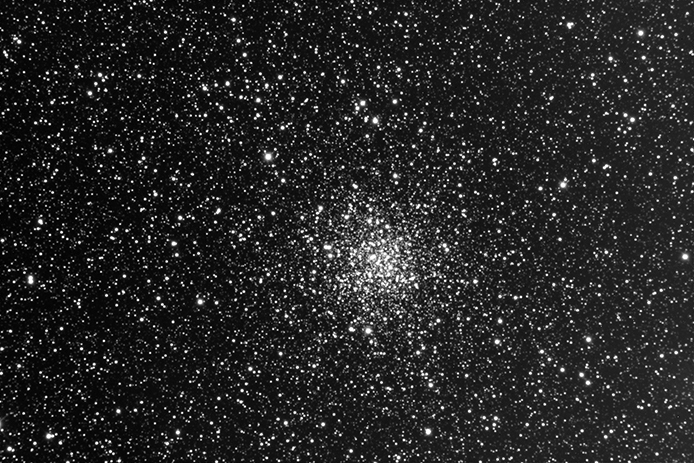 Classified as a globular cluster, M71 lies 13,000 ly away in the constellation Sagitta. Student Nick Denton combined twenty, 5 minute images taken with our 20" RC telescope for this image. ~27 ly across, this loosely packed globular cluster is 10 billion years old and contains about 13,000 suns. Larger image. The Pelican Nebula is an H II region 1,800 ly away in the constellation Cygnus. 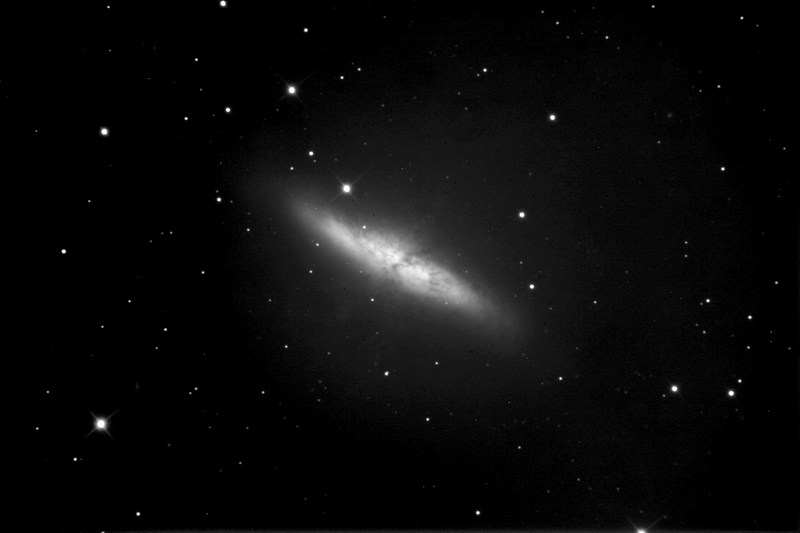 This detailed image taken by students Peter Roomian and Alex Chassy is a combination of four, 5 minute exposures taken thru our TEC180 refracting telescope. 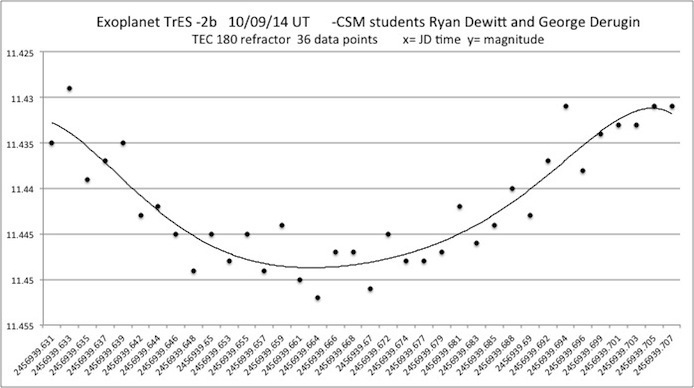 Students Ryan Dewitt and George Derugin took data of transiting exoplanet TrES-2b the local night of 10/08/14. 36 data points are graphed here showing the transit centered ~ 8:51 local time (JD converter). TrES-2b lies 750 light years away in Draco and is a Hot Jupiter type exoplanet. TrES (Trans-atlantic Exoplanet Survey) is a network of telescopes searching for planets orbiting bright stars. 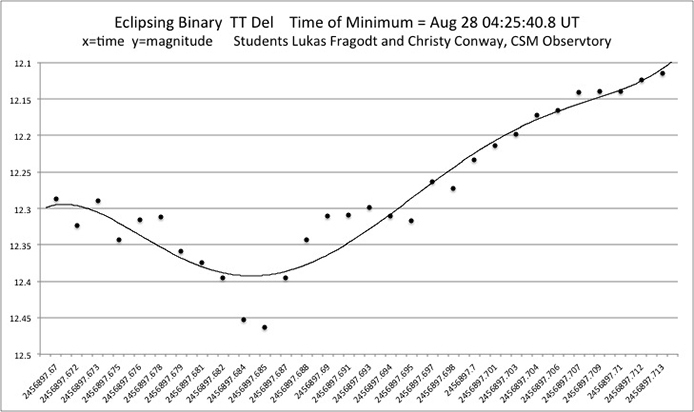 Students Lukas Fragodt and Christy Conway took data of eclipsing binary star TT Del the local night of Aug 27, 2014. The graph below shows TT Del's light curve during primary eclipse. 30 data points are plotted covering ~ 62 minutes. The ToM (Time of Minimum), or mid eclipse was Aug 28 04:25:40.8 UT. See JD converter. Original data processing in Maxim DL, with graph done in Excel. 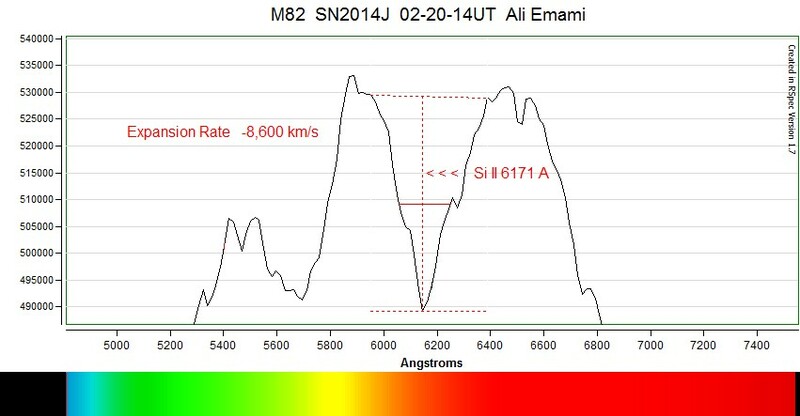 Sudent Nick Denton took spectra of star P Cygni the local night of 9-8-14. 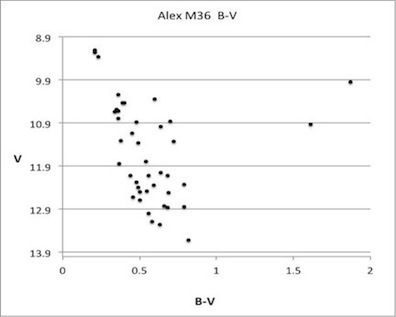 The graph below shows H-alph hydrogen line ~ 6562 Ang. and strong Helium feature to the right. “P Cygni is a very rare type of star. It is a blue supergiant known as a luminous blue variable or LBV star, and lies ~ 6,300 light years distant. 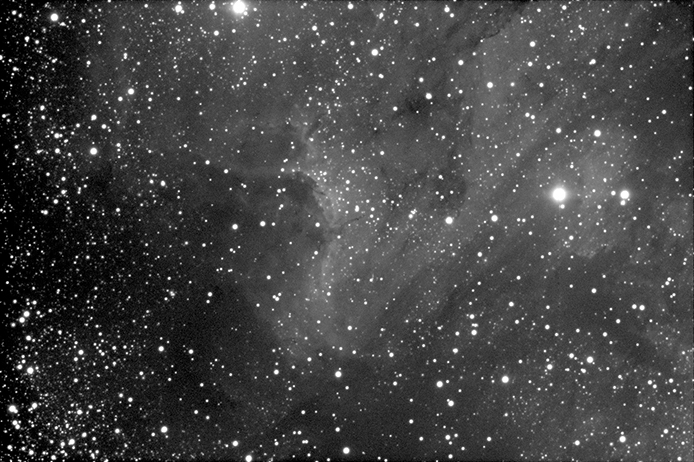 Its spectrum shows a very prominent hydrogen alpha line and a less prominent ionized helium line. Both lines show an emission and an absorption component. 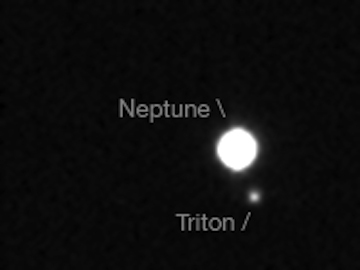 At magnitude 13.4, Triton is the brightest of Neptune's 14 known moons and has a retrograde orbit ~ 220,000 miles above Neptune. Triton is made of ~ 25% water ice, with a thin nitrogen atmosphere. Student Nick Denton took this 10 second image with our 140mm refractor and ST-10 CCD camera the local night of 9-22-14. 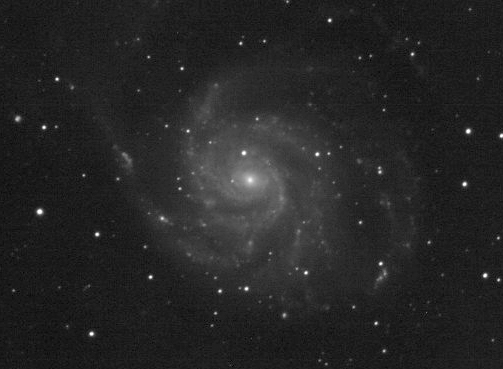 M101 the Pinwheel Galaxy lies 20 Mly away in Ursa Major, and is 170,000 Ly across. 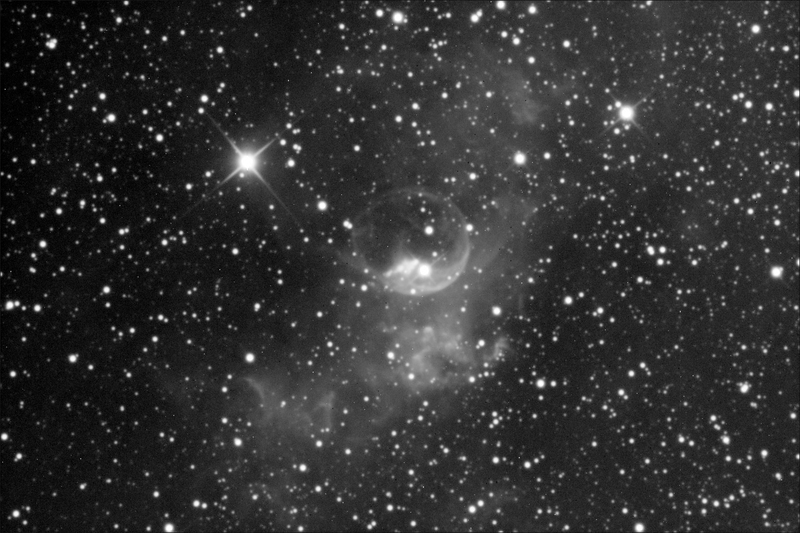 ASTR 203 student Nick Denton combined twelve, 300 second images taken with our TEC180 f/7 refractor, to create this image. Final adjustments and cropping in Photoshop. Data is dark subtracted. ~ 8 five minute exposures are median combined. Spectra is taken thru our 140mm TEC refractor, and ST-10 CCD camera, with 200 RO diffraction grating filter. Dispersion ~16 Ang/Pixel. All processing with RSpec. 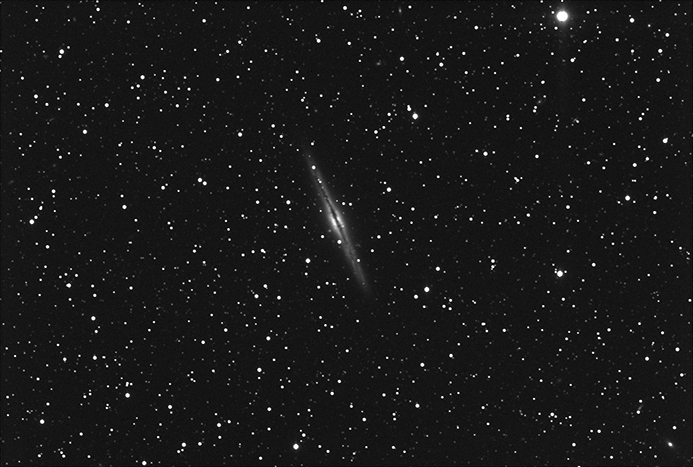 This image shows host galaxy M82 and SN2014J spectra (between yellow bars). 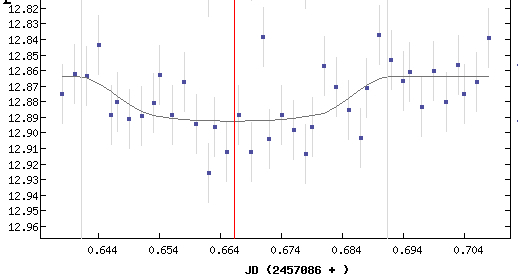 RSpec Screen shot of SN2014J spectra. This 2 image video of globular cluster M3 by student Peter Roomian, reveals about a dozen RR Lyrae type variable stars. 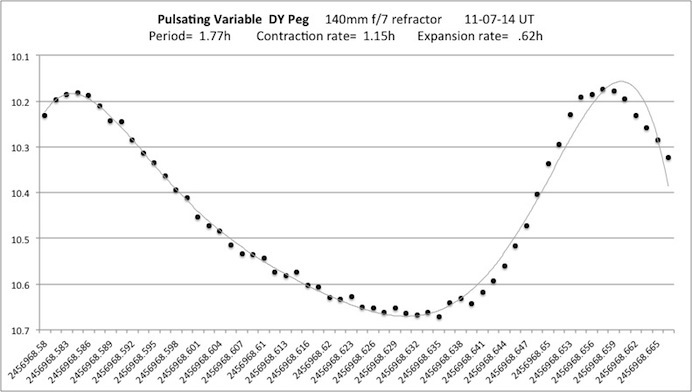 Their pulsation periods range from ~5 to 15 hours. These short period variables make excellent standard candles for measuring distances out to 2.5 million light years. Peter imaged M3 with our AP130 refractor and ST2000 camera on loan from Dr. Ken Lum of San Mateo County Astronomical Society. Here at CSM, we are used to seeing strange lights in the skies. No, we aren't talking about aliens. Take a look at what our students have captured in their images! Being so close to SFO means that you can almost always see a plane somewhere in the sky. All too often, that somewhere is right in front of our telescopes! Having a plane ruin your long exposure shot of a galaxy can be frustrating, but occasionally we're impressed with how our shots turn out. Check out this plane who flashed a strobe light right as it passed overhead. If you look closely, you can make out the tail of the plane and two of the engines!